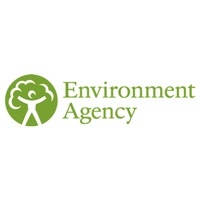 Through personal reviews and appraisals, Chris, an Executive within the Environment Agency, had become aware that his colleagues sometimes found him challenging – and he wanted to become more approachable. He was aware, that although he had achieved considerable success in his career up to this point, this perception was occasionally placing a barrier between him and others. In the past, Chris had undertaken traditional management training courses which had provided some benefits. However, they did not succeed in addressing the underlying issues and his inter- personal skills were still his relative area of weakness. Hence, keen to be more effective in his role and to remove any blocks to his career development, Chris undertook a series of one-to-one sessions with Criterion Partnership Director, Richard Hunter. Having previously worked with The Environment Agency on a number of projects, the senior HR team were aware of our coaching programme, which was then recommended and offered to Chris. One-to-one coaching takes an in-depth look at various aspects of a person’s life with the specific objective of addressing and focus on how you are able to react in a business context. Criterion Partnership’s approach deals with ways in which the past impacts on the present and ways in which changes in the present can be managed to shape the future. Uncovering the causes of present behavioural tendencies means exploring personal history as well as current business events. For these reasons it is important that the client feels completely at ease with their coach. Prior to starting the sessions, our lead consultant, arranged an informal meeting with Chris. This gave both parties the opportunity to meet and to discuss the approach, in order to determine whether this form of coaching would be of benefit. Confidentiality and trust are key factors in ensuring the most can be gained from the sessions. As such, the consultant made it clear that nothing raised during the sessions would be fed back to Chris’ managers. A general review of progress can be provided to the client’s company, but no details of the discussion are disclosed.